I saw this on pinterest and knew I had to try it. 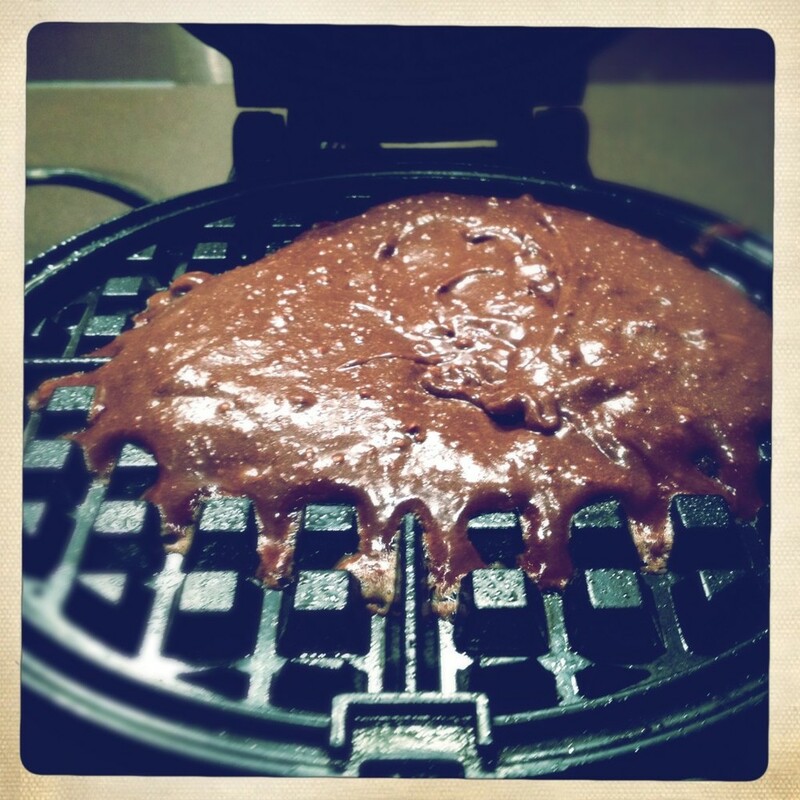 We just whipped up our favorite brownie mix and scooped it onto our waffle iron just as if you were making a waffle. In three minutes we had a warm, chocolatey, and really fun snack! How about some vanilla ice cream for a brownie waffle ice cream sandwich?! Yes! It doesn't have the dense, chewy characteristics of a brownie, as the Mister said, it's more like eating the yummy brownie edges. Did I mention how happy he was with this whole idea? Try it for fun. I doubt you'll be disappointed!